Thanks to a combination of technical factors and a smart reflector design our HSE NXT II generates the highest light output. A great advantage of this light efficiency is that fewer fixtures are needed to achieve the same light intensity. These fixtures are manufactured in high-value materials for years of trouble-free operation in harsh environments. The fixture has innovative cooling fins that optimally control the temperature in the fixture, making the HSE NXT II one of the coolest and most durable fixtures currently available on the market. 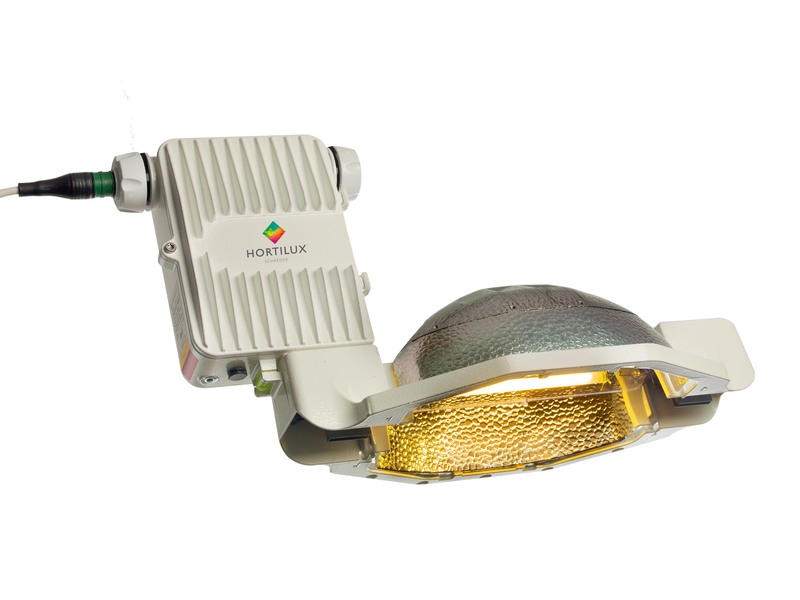 The HSE NXT II comes with a standard reflector ring enabling it to be combined with a wide range of reflectors to ensure that the light is optimally directed to the place where it is needed. In spite of its robust design, this is the smallest fixture, with the least loss of light due to shadows. Hortilux has developed special wire brackets with which the fixtures can be quickly and easily installed. The levelling system enhances the ease of installation. The fixture will always be hanging straight to ensure an optimum distribution of light. An integrated LED indicator will show you the fixture’s status at any time. The lamp holder’s design enables you to easily replace the lamp and the electronic ballast is easily accessible for maintenance.